Children love learning about animals and the many fantastic characteristics they inhibit. Tigers are the largest cat species and one of the most iconic animals in the world. 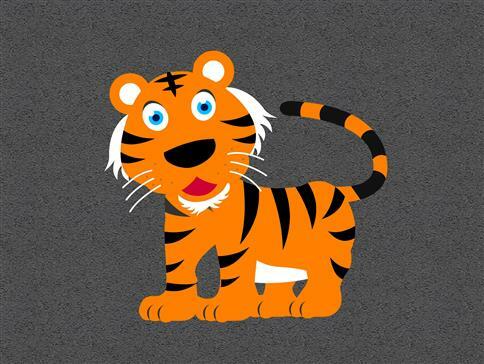 Children can learn all about tigers outdoors using our Tiger Markings Design for role play activities and outdoor lessons. Early Years children will be able to relate to the tiger with this fun design on the playground floor.